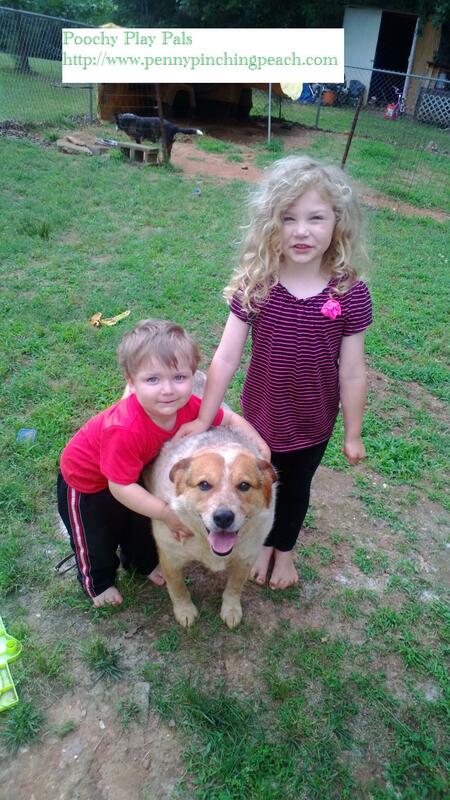 June is National Pet Preparedness Month. It’s about keeping your pets prepared for a disaster, and having a plan in how to take care of them if something happens. You need to have a kit ready with all of the essentials they may need, as detailed at the link at the end of this post. Also, in honor of the month of keeping pets prepared, I thought I’d once again share one of my favorite sites to use to keep my pooches prepared. I have continued to order since this was originally written, and have had the same positive experience each time with their products, pricing, and the speed in which they delivered my orders. You can get credit just for signing up, resulting in free or verrrrrry inexpensive products. Check it out! What pets do you have? Our current roundup is one lazy dog, two spoiled cats, two broody chickens with no possibility of chickies and two (three any day now!!!) little monkeys (otherwise known as our children 😉 ). Categories: Frugal Family, Sites for Savings | Tags: bargain, cats, cheap, chickens, doggie, doggy loot, dogs, free, homesteader, National Pet Preparedness Month, pet supplies, pets, prepper, shopping | Permalink. Two Winners of 4 Moringa Seedlings & 10 Seeds each. This one ends TODAY, so hurry!!! Everyone is a winner on this giveaway! You get a free download of the e-book “31 Days of Encouragement”! Enter this giveaway of Gnarly Vegan products at two different places! Any bloggers or small businesses with current family friendly giveaways are welcome to post links to one or two of those giveaways with a brief description in the comments section. If you have an upcoming giveaway you would like to be featured, please contact me via my Facebook page with details. 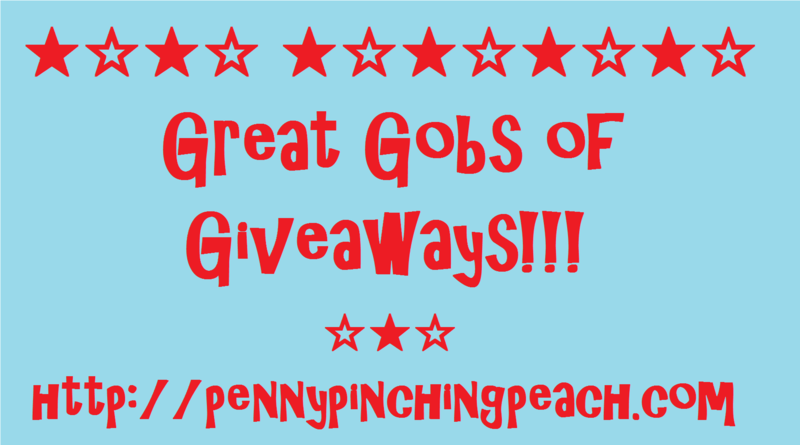 This will continue to be a weekly feature here on Penny Pinching Peach if there is consistent interest, so give a shout if you enjoy these lists and let me know if you entered any contests! Oh, and definitely come back and let me know if you win something, please!!! Categories: Sites for Savings | Tags: baby, contest, free, free books, free stuff, free tickets, freebies, giveaway, lucky, paypal cash, win, winner, winning | Permalink. I’ve been extraordinarily busy the past couple of weeks, so maybe some of you have noticed the absence of my Winning Wednesday posts. It’s back today! Let me know if you’ve missed it. 🙂 I have some great low entry giveaways to share this week, so your odds of winning something are really high if you do all of these entries!! Categories: Frugal Family | Tags: blog, contest, free, freebies, giveaway, hair care, Kids, low entry giveaways, parenting, stickers, wednesday, winner, winning wednesday | Permalink. Categories: Sites for Savings | Tags: blog, children, contest, Diaper Junction, family, free, freebies, giveaway, gymboree, little tykes, mother's day, My Little Pony, pampers, potty training, Step Up, Swiggydiggydoo, teething, winner, winning | Permalink. Categories: Sites for Savings | Tags: blog, contest, free, freebies, giveaway | Permalink. Any bloggers or small businesses with current family friendly giveaways are welcome to post links to one or two of those giveaways with a brief description in the comments section. If you have an upcoming giveaway you would like to be featured, please contact me via my Facebook page with details. This will continue to be a weekly feature here on Penny Pinching Peach if there is consistent interest, so give a shout if you like this idea and let me know if you entered any contests! Oh, and definitely come back and let me know if you win something, please!!! Try to win a Kiss Freely giveaway! Try to win a birthday package from Abby Reese Design! • One (1) photo of Brendan Coyle, autographed by Mr. Coyle himself! Categories: Sites for Savings | Tags: contest, free, freebie, giveaway, winner | Permalink.